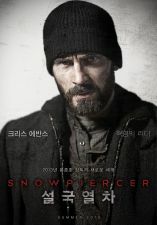 The first trailer for Bong Joon-ho’s Snowpiercer has been revealed and can be watched in the player below. Snowpiercer, based on the French graphic novel “Le Transperceneige,” is set in a future where, after a failed experiment to stop global warming, an Ice Age kills off all life on the planet except for the inhabitants of the Snow Piercer, a train that travels around the globe and is powered by a sacred perpetual-motion engine. A class system evolves on the train but a revolution brews. Chris Evans, Song Kangho, Tilda Swinton, Jamie Bell, Octavia Spencer, Ewen Brewmner, Alison Pill, John Hurt and Ed Harris star in the thriller. A North American release date has yet to be set.